The Minister for Planning and Housing, Simon Coveney TD, has rejected the considered opinion of all 9 Councillors in the Naas electoral area, along with over 2,000 supporting submissions from the Sallins community to reject the amenity option in the local area plan. The Sallins Local Area Plan had contained a provision to zone 40 acres of land at Bodenstown as Amenity along with 30 for housing, the package also included a site for a second school and common use playing fields and community centre. I actively supported this when I was on the council, in fact as Mayor I formally proposed it, and chaired the meetings where it was voted through over the course of the last year. The County Manager and now the Minister opposed this proposal from the start as their argument was about over-zoning. Everybody in Sallins understands the problems of over-zoning as we are living through it. Sallins went from 500 to 5,000 people in the last fifteen years with no accompanying increase in leisure amenities. 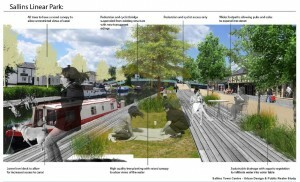 This plan offered a concrete proposal to actually deliver lands for those amenities and enjoyed massive local support. All parties and all Councillors supported it as well as the overwhelming majority of local residents and for the Minister to ignore this reality and strike it down is really riding roughshod over the clearly expressed will of the people in the area affected. Here is the Minister’s Directive Letter and the Community_Facilities letter that came with it. It is worth noting the Scout Den is still being delivered and the playground is still underway. The Bodenstown lands were easily the biggest block of zoning in this plan but those smaller parcels are still going ahead so at least some amenities got through. You can see some of my previous posts on it here. 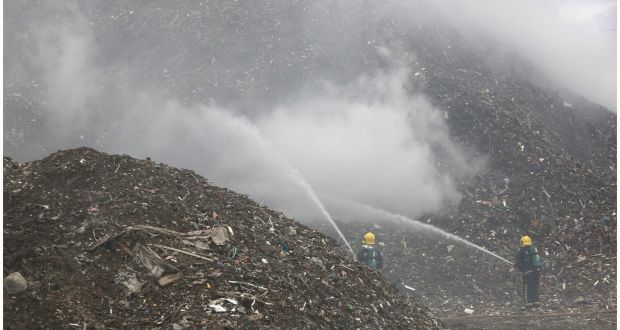 A new application has now been lodged for a landfill at Kerdiffstown, Naas. This is essentially the same application that was refused permission already in 2014. The kernel of the problem here is the atrocious past practice at the same location which led to A1 waste being fined 10 million in the High Court recently, following years of planning problems and abuses at their landfill. It should be noted the new applicant is not connected to A1 and is an entirely separate individual but the local community are understandably very wary of any new landfills in this vicinity, having endured the last one for several years too long. Confidence in the regulatory authorities to properly manage or govern any new facility is very low based on past experience. A copy of the fresh application is here: Application for new landfill at Kerdiffstown and a sample objection is here also: Sample submission re Waste Permit applic. 2016. If you wish to send in your own objection you can email in to environ@kildarecoco.ie or by post to Kildare County Council, Áras Chill Dara, Devoy Park, Naas, Co Kildare. I objected the last time and will be doing so again on this occasion as I fail to see what has materially altered since this application was refused barely two years ago. You can see my previous posts on this issue here. 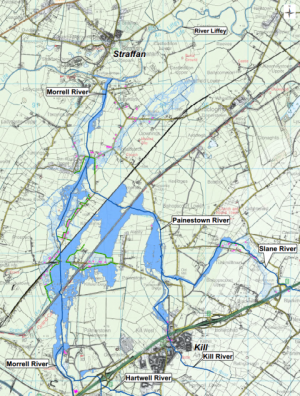 The Lower Morrell area, comprising the rural townlands of Kileenmore, Alasty, Painestown, Daars and Turnings between Sallins, Straffan and Clane, has been hit repeatedly by flooding over the past several years as the Morrell and Painestown rivers burst their banks any time of high rainfall which floods houses and property all throughout those areas. Despite this being an issue for the past several years, it has taken a very long time to have attention focused on it in terms of securing the necessary relief to carry out prevention works. I have been seeking flood relief efforts there for some time (see previous posts here) having advanced this issue through to design stage with Kildare County Council whilst serving as a Councillor and has recently been lobbying the Office of Public Works for the funding necessary for that scheme to proceed. “Deputy James Lawless: I thank the Acting Chairman for giving me the opportunity to contribute to the debate, although with only two Members on the Government benches, I am not sure it qualifies as a debate. I am glad, however, that this issue is now being brought to a head. It is an important issue but by no means the most important. The amount of airtime it has received in recent weeks has been disproportionate. Other matters such as health, education, transport, energy, broadband and housing are huge issues that have suffered owing to the inordinate focus placed on water provision in the set-up of this Dáil. Nonetheless, it is an important issue, one that has united and divided both this House and the wider public. 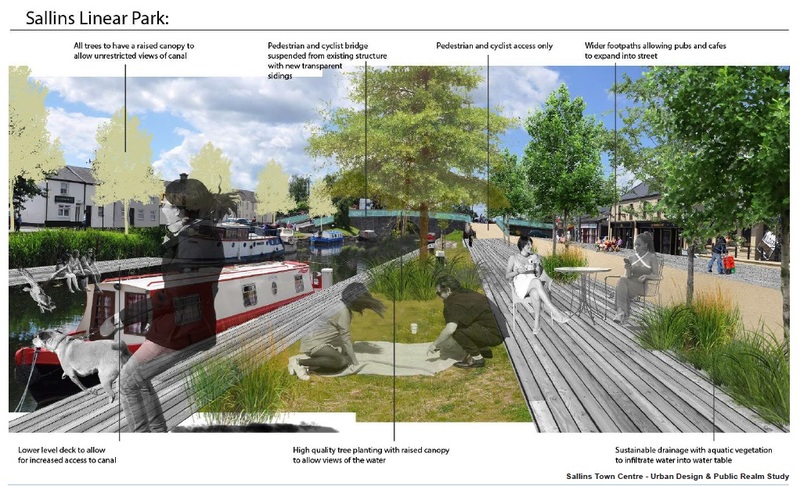 The Sallins Local Area Plan has almost concluded its rounds of consideration in the council and has been sent to the Minister for final sign-off. As expected the Minister has raised a concern over Alteration 20 relating to the additional residential zoning on the Bodenstown road. However the key piece of this jigsaw is the 40 acres of Amenity land that come with it. This was supported by all Councillors unanimously when the plan was going through as the community gain behind this proposal will allow for development of multiple playing pitches, running track, a new community building for all the different groups in the village. It will bridge the gap which has long existed of over development without any facilities in the village to go with it. The Minister has invited submissions on the Alteration before he makes a ruling and I include my submission here.